Business people Love the Product: The primary reason why Outlook 2016 has been a major hit is that it is attracting the attention of many people in the business. The positive reviews and sales of the software show the stats which prove the popularity of Outlook 2016 in the corporate sector. Microsoft Outlook 2016 is a downloadable version. It’s one-time-only purchase & is not a subscription. Fulfilled immediately after checkout. You will receive (1) license activation code and a link to Microsoft’s Download’s Tool (https://Setup.Office.Com) for Outlook 2016. 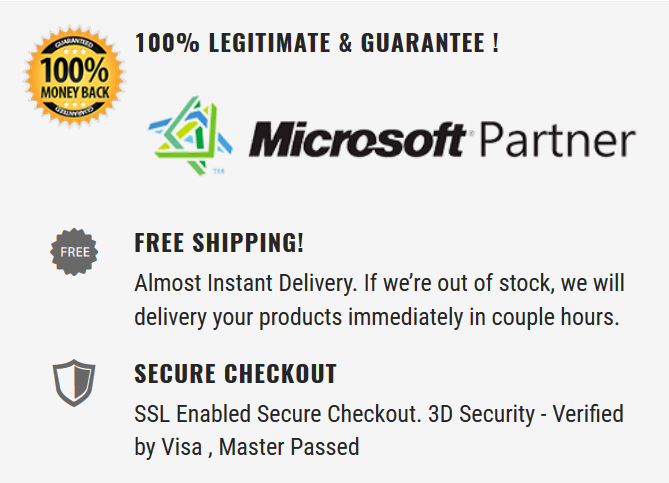 Brand New: This product includes A Brand New Unused Microsoft Outlook 2016 Legitimate Genuine Retail Key. Legit and easy to work with. Easy install, few updates needed after the installation. Good place to do business. Some problem getting Outlook to work properly. Finally got it working and now everything works great. Great price.